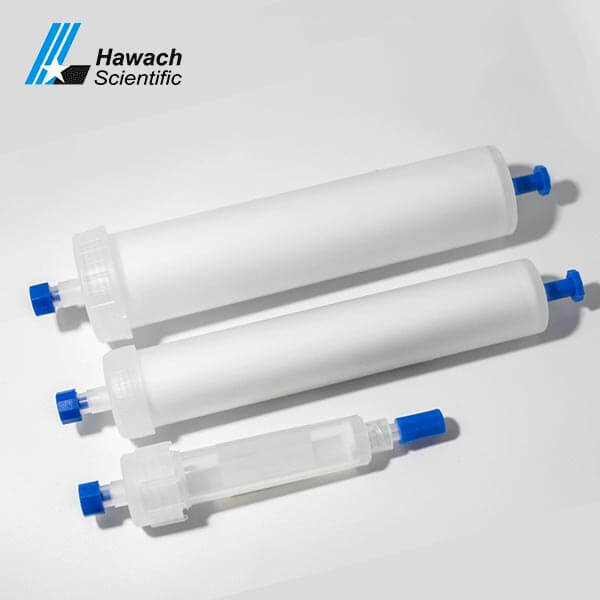 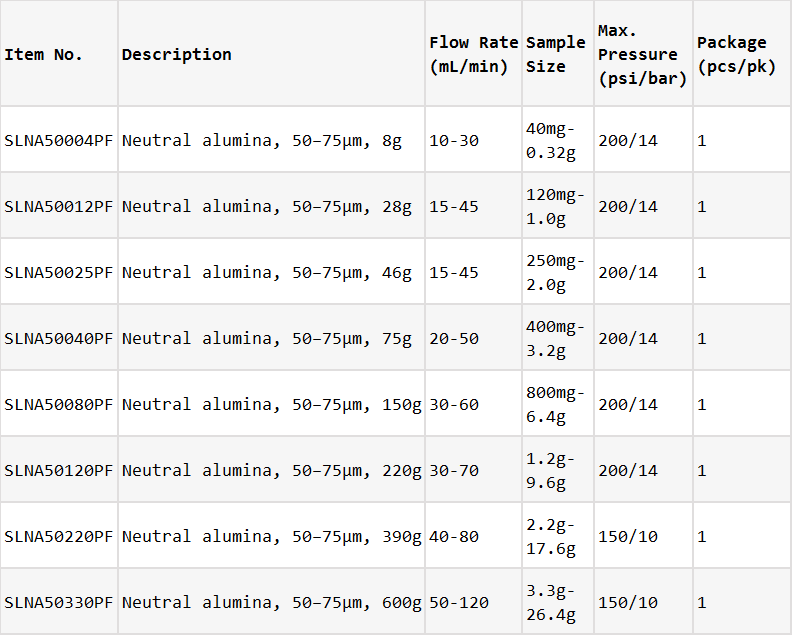 Neutral Alumina is currently the second most popular packing material in flash chromatography. 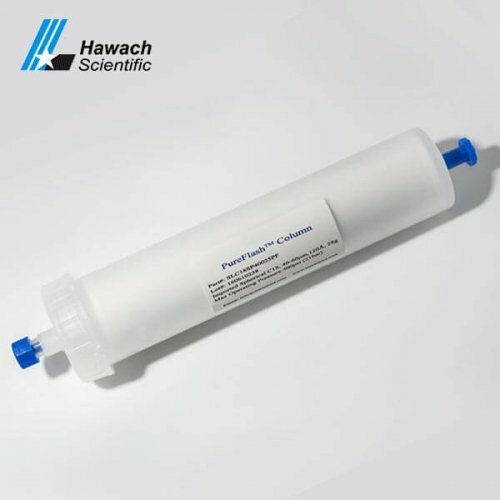 It is excellent for the purification of a compound with those properties is considered. 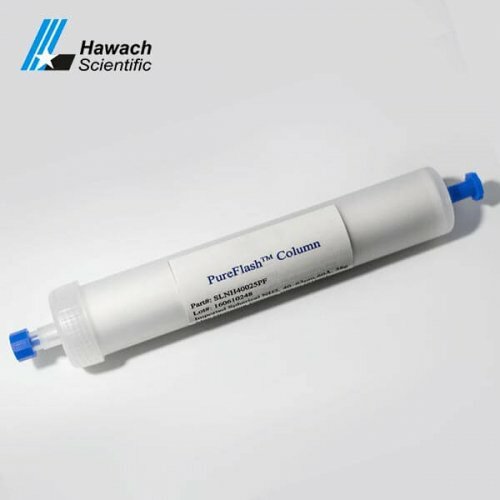 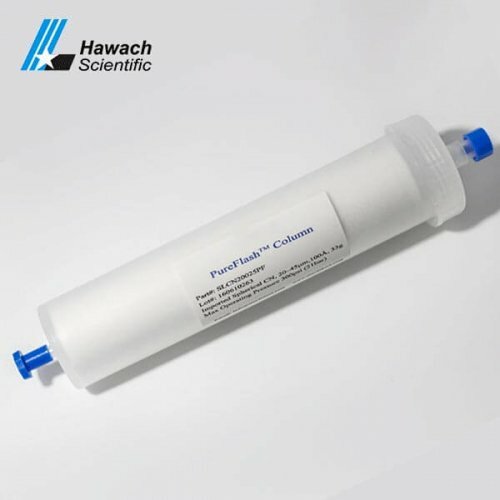 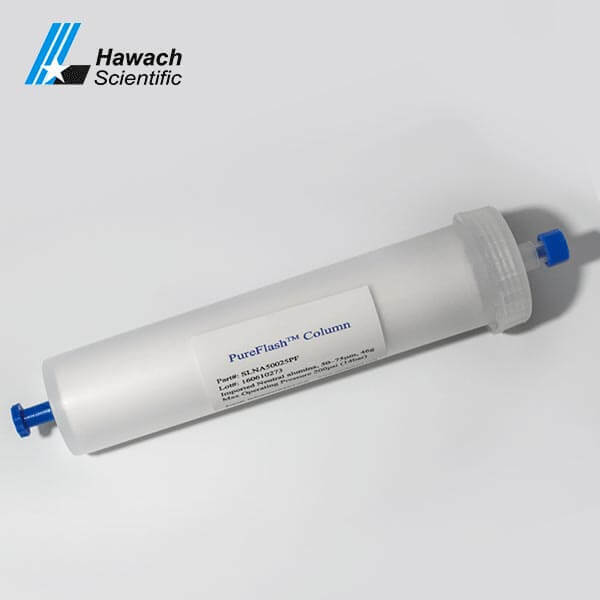 The Neutral Alumina Flash Columns provides users a highly practical and efficient flash chromatography tool for organic compounds separation.